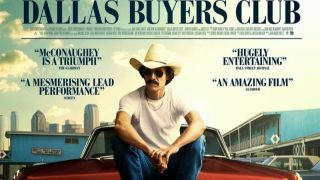 This past Tuesday there was a landmark ruling in the Federal Court of Australia that forced Australian ISPs to hand over the names and addresses of account holders that were caught in the act of downloading the film Dallas Buyers Club. The preliminary discovery hearing between Voltage Pictures, which owns the rights to the film and iiNet, Internode, Amnet Broadband, Dodo, Adam Internet and Wideband, sought to determine whether the ISPs should divulge the identities of the 4,726 account holders corresponding to Australian IP addresses that were shown to be infringing copyright of the film, Dallas Buyers Club. There are concerns that this ruling will give Voltage targets for a practice called 'speculative invoicing' where rights holders send a letter to copyright infringers that threatens legal action for substantial damages if settlement for for a smaller but still exorbitant sum was not paid. The presiding Justice Nye Perram said, "As to speculative invoicing: there is no doubt that Voltage has done this in the past." In relation to Michael Wickstrom, the vice president of royalties and music administration at Voltage Pictures, the judge went on to say, "My impression was that Mr Wickstrom would act as aggressively as he was legally permitted". In the US Voltage has threatened account holders with legal action of damages up to US$150,000 if they did not pay a settlement fee of up to US$7,000. So what will happen to the 4,726 account holders? One condition of the ruling was that a draft of the letter to account holders will have to be approved by the courts. This will prevent the misleading and deceptive information that has been included in the settlement letters in other jurisdictions. Australian law regarding copyright infringement does not contain minimum statutory damages provisions like in the US and Justice Perram stated "It may be true that for single instances of infringement the damages are likely to be modest and quite possibly limited to the forgone licence fee". Dr. Matthew Rimmer, Associate Professor at the ANU College of Law, said he was surprised by the attention received by the ruling, since the decision for whether or not Voltage can sue account holders is yet to be decided. "The problem with a lot of #iiDallas commentary has been that people have jumped to the conclusion that copyright infringement has been proven against 4,700 people." Said Dr. Rimmer, "It hasn't been." The techniques used by Voltage to identify these 4,726 IP addresses, though sufficient for the preliminary discovery, will be less useful in pinning copyright infringement on account holders. The program used for identification, Maverick Monitor, tracked the sharing of one specific sliver of the film across peer to peer BitTorrent clients like Azureus, BitComet and UT. Though the size of this sliver can vary, pieces are generally under 512kB or about five seconds of film, meaning the 4,726 infringers will include people who only downloaded a portion of Dallas Buyers Club. Interestingly, the council for the ISPs missed the opportunity to challenge the validity of the method used to identify infringing IP addresses by electing to not cross examine Voltage's expert witness on any technical issues. Will this decision undermine the Industry codes? The Australian Consumer Communications Action Network (ACCAN), which has been working with ISPs and rights holders in Australia to develop an Industry Code on dealing with piracy, is concerned that this ruling will encourage rights holders to bypass this code in the future. Though Justice Perram was aware of the proposed Industry Code, he stated that because it was still in draft form and had no 'sensible' chance of materialising in the near future, that it was not relevant. The impact that this will have on the effectiveness of the proposed Industry Codes will hinge on how financially beneficial it is for rights holders to pursue copyright infringers, the details of which are yet to be decided. ACCAN proposed that rights holders that engage in 'speculative invoicing' in Australia be barred from participating in the industry codes. They have also advised that consumers subjected to speculative invoicing seek legal advice before action.